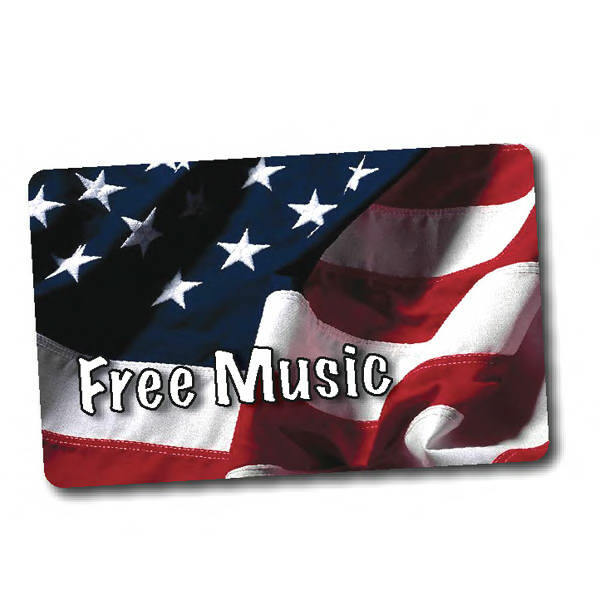 Product Option: 1 Song - Give the gift of today's hottest hits with American Flag music cards. With millions of songs available, there's something for everyone. Download your free music to your iPod, iPhone, computer or MP3 music play. PC and Mac compatible. Free music is the perfect gift for music lovers, college recruiting, direct mail, event giveaways and on-packs. Add a custom website to your music promotion and let our creativity and reward enhance your brand. Price Includes:Four color processing printing, no set up fee and basic websites free. Standard customized landing page website. Change fee for all shapes other than 2 1/8" x 3 3/8"